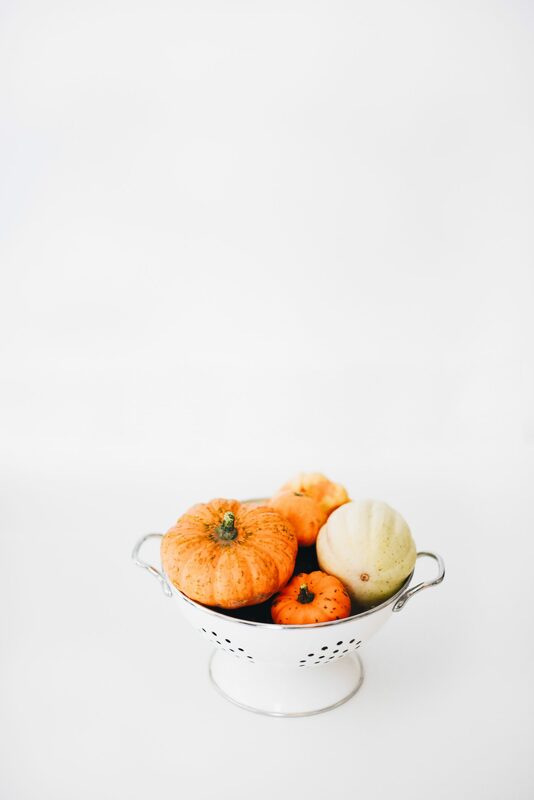 Pumpkins are a FULL of antioxidants, namely Beta-carotene and Vitamin C. Beta-carotene converts into Vitamin A, which serves as a powerful protectant against infection. If that’s not enough, Vitamin A is also a key nutrient in prevention of Metabolic Syndrome, a combination of symptoms such as high blood pressure, impaired blood sugar control and high cholesterol, all of which increase the risk for obesity. Vitamin C has been linked to improved eye health, prevention against high cholesterol and heart disease, and of course, healthy skin due to its role in collagen formation. So how much Vitamin A and Vitamin C are we getting from pumpkin? Well, in 100g of pumpkin, you’re getting a whopping 170% of your recommended daily intake (RDI) of Vitamin A and 15% of of the RDI for Vitamin C. Wowza. 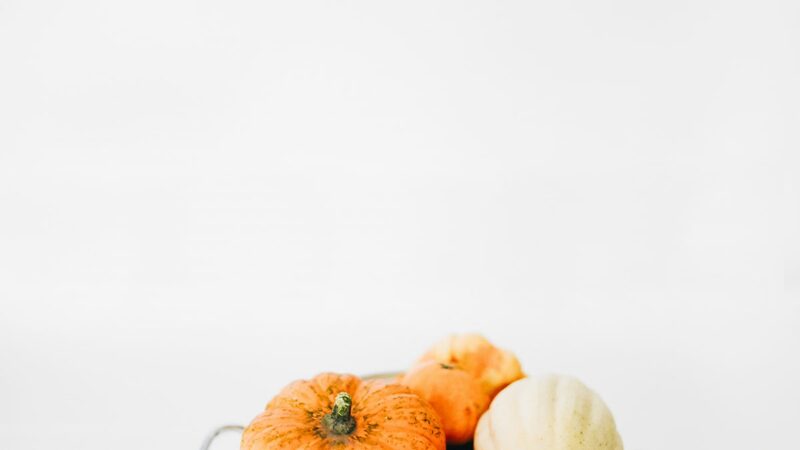 Just one thing to consider before you forego Jack-O-Lantern carving and eat the poor pumpkin for dinner: Vitamin A is a fat-soluble vitamin, so believe it or not, too much is NOT advised. Eating a well-balanced diet of colorful fruits and vegetables ensures you are not getting too much of one particular nutrient and lowering your risk for toxicity. You know how much I love me some fiber. Fiber is the undigestible roughage found in plant foods like grains, fruits and vegetables that has an important role in digestion, hormone control, heart health, blood sugar control….and many, many..many other bodily functions. Even though pumpkin is technically a fruit because it contains seeds, it is categorized by many as a starchy vegetable. This “starchy vegetable” packs a punch when it comes to fiber. One cup of pumpkin contains approximately 3 grams of fiber..not bad, Jack! Ok, so I think pumpkin seeds are AH-MAZE. They too are high in fiber, a good source of protein, and chalk-full of important vitamins for optimizing health. One of the reasons pumpkin seeds are extra special – and appropriate to be highlighting with “Mo-Vember” around the corner, is their role in optimizing prostate health. Pumpkin seeds are very rich in Zinc, with one cup providing half the Recommended Daily Allowance. A healthy normal prostate contains the largest amount of zinc in the body, making zinc a crucial nutrient to ensure the prostate remains healthy. OKAY….so now that I’ve converted you to pumpkin fans, how can we include them in our regular diet routine? I got you. Enter: Pumpkin. Spice. Granola. 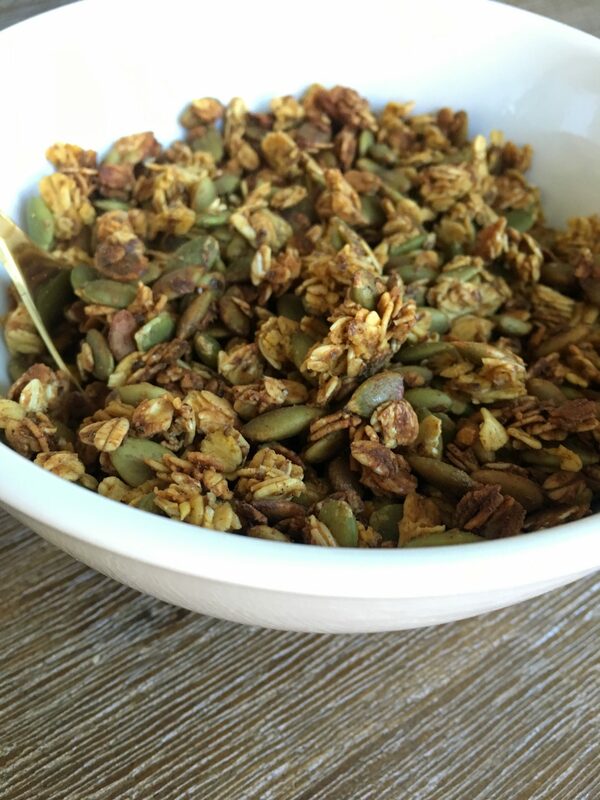 Combine oats, pumpkin seeds, flaxseed, salt, pumpkin pie spice and cinnamon. Stir well. In a pot, whisk together coconut oil, maple syrup and pureed pumpkin over medium heat until evenly combined. Pour over dry ingredients and combine until dry mixture is evenly coated with pureed pumpkin mixture. Lay granola mix evenly on parchment paper-lined baking sheet and bake for 25-30 minutes or until granola is golden brown. Remove from oven and let cool completely without mixing to allow granola clusters to stay together. Enjoy as a cereal, add to a yogurt parfait, or eat dry as a healthy snack! Recipe yields 4 servings of 1/2 cup. For more information, be sure to follow Lifeberry on Instagram and Facebook, and sign up for our monthly newsletter for more health tips and tricks!